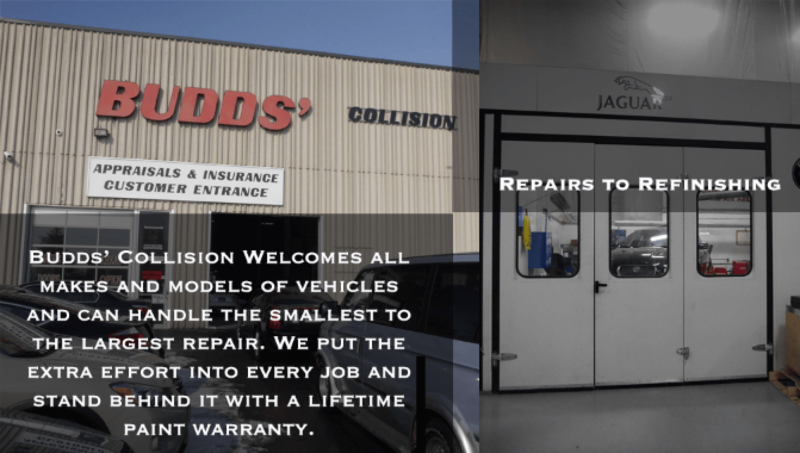 Budds’ Collision opened their doors in 1983. Throughout these years, Budds’ has determined that highly trained employees and the latest equipment can ensure that quality work will be performed on every repair. With this goal in mind, Budds’ Collision has become a direct repair centre for all major insurance companies.